Management of hypertension in Nigerians: Ad hoc or rational basis? Normal cardiac output and raised SVR. There is a wide array of drugs available nowadays for the management of hypertension unlike in the past when only a few drugs were available and even then the drugs had so many side-effects, which made the patients more ill when they took them. Fortunately, those who manage patients with hypertension nowadays have a greater choice of safer drugs many of which have little or no side effects. Decisions on which drug to use for treatment of primary hypertension are often taken on an ad hoc basis, and some of these are inappropriate. For example, among the drugs prescribed to a patient who presented to a clinic with hypertension and a basic heart rate of 58 beats/min was the propranolol. This dropped his heart rate to 43 beats/min. Another patient who presented with a basic heart rate of 102 beats/min and complained of palpitations and insomnia was asked to take amlodipine to control her high BP. This made her sicker. Another patient in heart failure with marked pedal swelling, ascites and a left ventricular (LV) ejection fraction of 32% on echocardiography was asked to take carvedilol. His heart failure worsened despite the high dose of frusemide he was also taking. Since all anti-hypertensive drugs have different effects on the cardiovascular system, those who treat hypertension must be familiar not only with the hemodynamic changes, which occur when people have hypertension, but also with the hemodynamic changes the different drugs cause in order to make rational decisions on the appropriate drug (s) to choose for each patient. This paper suggests a basis for the use of the drugs in such a manner that makes the patients feel the benefits of such treatment, especially as hypertension requires a life-long treatment. However first of all, let us consider what hypertension does to the cardiovascular system of patients, especially the heart. Aortic unfolding: Progressive dilatation of the aortic root occurs as hypertension worsens; this is described as unfolded aorta on chest X-ray. 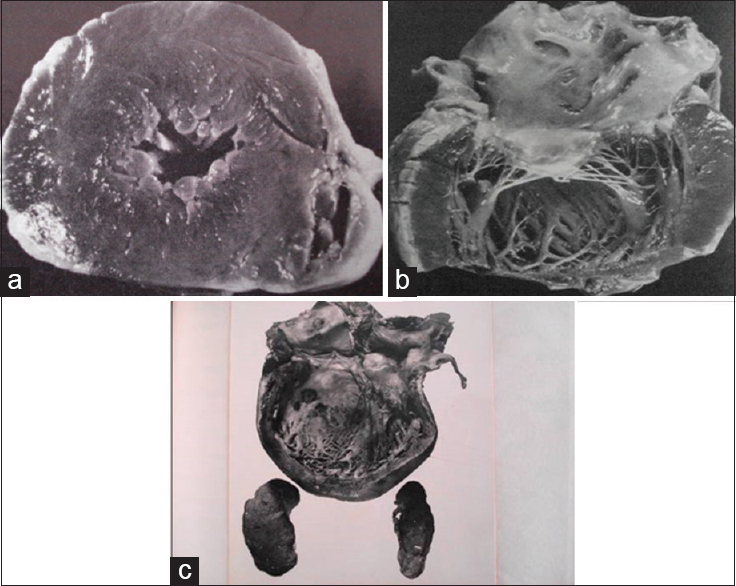 SVR [Figure 2]b: This progressively increased with the onset of hypertension, rising further as hypertension became more severe [Figure 2]c.
In summary, these studies showed that deterioration of LV structure and function tends to occur with increased severity of hypertension. In other words, deterioration of LV structure and function occurs as the load against blood flow from the heart increases. As hypertension progresses through absence of heart failure to presence of heart failure, all the cardiac parameters discussed above deteriorate. What makes the disease require urgent intervention is the continued deterioration of the cardiac indices in the presence of high SVR. In other words, a damaged myocardium is working against a high load. All these drugs reduce the BP through several mechanisms mostly through reduction of SVR, but sometimes through reduction of cardiac output/index or both. Reduction of high BP can be achieved by using drugs, which reduce cardiac output, SVR or both. [Figure 3]a is the ECG of a 24-year-old man who complained of high BP when he measured it electronically, variability of his BP, palpitations, especially at night, insomnia and general feeling of unease. Clinical examination was normal except for high pulse rate and pressure and a BP of 170/95 mmHg. The ECG was normal, but for sinus tachycardia. Thyroid function tests and other investigations were normal. It was concluded that his hypertension was being driven by a high cardiac output. He improved when he was given Atenolol 25 mg twice daily. 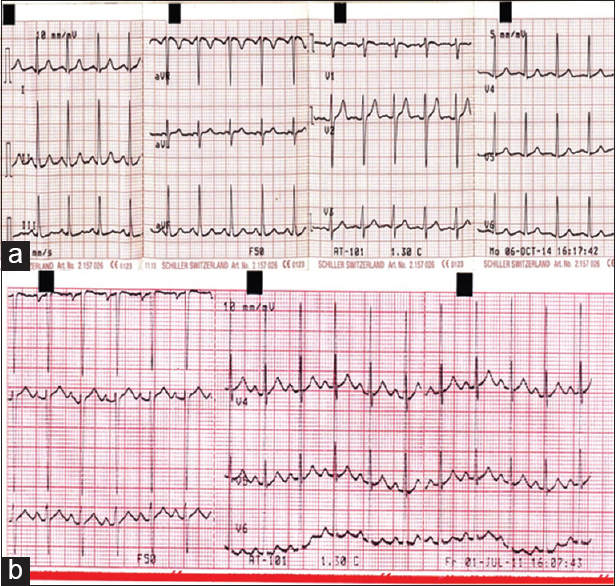 [Figure 3]b is the ECG a 59-year-old man who presented with similar symptoms as the patient described above - insomnia, restlessness, palpitations and general feeling of unease. Clinical examination was again normal but for a BP of 180/100 mmHg and a high pulse rate. Investigations, which included thyroid function tests were normal except for his ECG, which showed sinus tachycardia, left atrial enlargement and LVH. It was concluded that he had both elevation of cardiac output and SVR. He improved with a combination of atenolol 50 mg daily and hydrochlorothiazide 12.5 mg daily (tenoretic 50/12.5 mg one tablet daily). One of the beta-adrenoceptor blocking agents was used to treat these two patients because of sinus tachycardia and diagnosis of high BP predominantly driven by high cardiac output. The nondihydropyridine calcium-channel blockers (verapamil, diltiazem) are good alternatives in patients in whom the use of beta-adrenoceptor blockers are contraindicated, for example in asthmatics. Verapamil and diltiazem slow conduction at the atrioventricular nodes hence they reduce heart rate but since they can depress myocardial contractility they should as much as possible be avoided in those with cardiac failure because they may further worsen the failure. On the other hand, the use of dihydropyridine calcium-channel blockers (nifedipine, amlodipine, felodipine, etc.) in these patients may further worsen their tachycardia and provoke more distressful symptoms. As earlier stated, majority of the patients who present with hypertension at the clinics in Nigeria usually have normal cardiac output/index and elevated SVR. In treating this cohort of patients, therefore attention should be focused on reduction of SVR. All the drugs used in treating hypertension reduce the SVR albeit through different mechanisms. Majority of them however reduce the SVR through vasodilatation. These include the calcium-channel blockers, the most widely used antihypertensive (particularly nifedipine and amlodipine), ACE inhibitors (especially lisinopril and ramipril), ARBs (losartan, telmisartan, and valsartan), direct renin inhibitors (aliskiren), alpha-adrenoceptor blocking drugs (prazosin, doxazosin), and other peripheral vasodilators like hydralazine and minoxidil. All vasodilators, however, have the side-effect of triggering an increase in heart rate when they are used. This often causes the patient to complain of palpitations, insomnia and general unease whenever they take the drugs. Such effects should either be blunted with beta-blockers, or the drugs should be withdrawn. A few of the patients may develop ankle edema, which may be severe and troubling enough to require the addition of a small dose of diuretics. Some of those taking ACE inhibitors may develop troublesome cough, which can only be ameliorated by discontinuing the drug. When monotherapy is contemplated the only drugs, which have been proven to be efficacious in low doses among Nigerians and indeed among the black people of the world are thiazide diuretics and calcium-channel antagonists (10). No one knows why this is so, but the use of all other classes of antihypertensive drugs as monotherapy often require very high doses for effective BP control unless the hypertension is mild. Side-effects are commoner when such high doses are used. Other vasodilators, like hydralazine (apresoline), are equally effective when used as monotherapy. Factors, which contribute to the development of myocardial failure in hypertensives should be identified and treated. The most common ones are anemia and excessive alcohol intake. Myocarditis is another factor, which should be borne in mind. 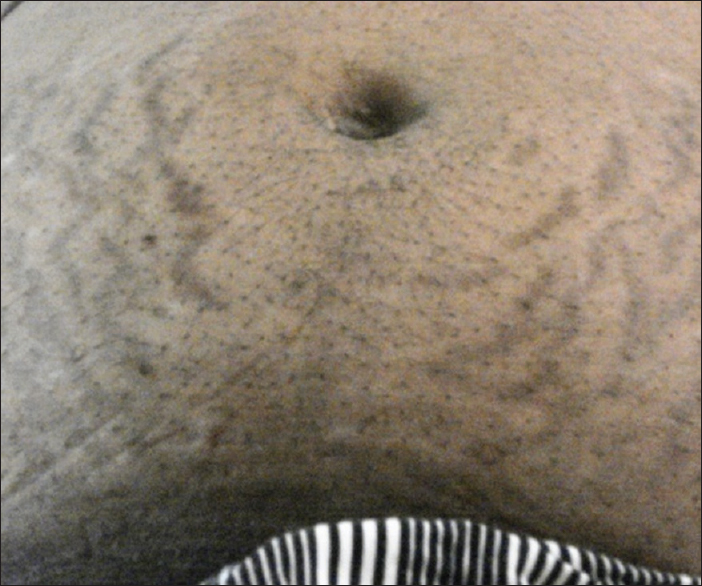 It can damage the hypertensive heart through myocyte necrosis, but the only problem is that it is often difficult to diagnose and treat. To prevent myocarditis, patients should be advised on the basic rules of hygiene, which include regular hand washing and good toilet habit. Anyone who has cold symptoms must desist from heavy exercise during the period. All these hemodynamic changes must be reversed if the doctor hopes to salvage the patient. The key to success is to focus on reducing the SVR to normal. This means that the diastolic BP must be gradually lowered to a level below 90 mmHg. Many of such patients improve without the need for inotropic support when this is successfully done and of course if the myocardial reserve is still relatively good. Inotropic support is however indicated if, despite successful reduction of SVR, recovery is poor or slow or when there is no appreciable improvement. For those who do not improve despite these measures, cardiac transplantation is the only option left if the patient can afford it and if facilities permit such a procedure. For ease of management, we have divided the clinical presentation of the patients into four stages although some patients may straddle two of the stages. Generally speaking inotropic support is not required for patients in Stages 1 and 2 but are definitely necessary if the patient has progressed to Stages 3b and 4. Reduction of SVR, that is, reduction of the diastolic BP below 90 mmHg is often enough in those in Stages 1 and 2. For those in Stage 4, the myocardial function had become too poor to sustain an adequate BP and the priority during treatment of such patients is inotropic support. Less consideration should be put on the reduction of SVR at this stage since this may compromise the perfusion of vital organs of the body. This is the stage of asymptomatic systolic dysfunction. It can only be detected by echocardiography. Cardiac output is maintained by an increase in heart rate, but SVR is high. Improvement is dependent on control of BP, preferably with the initial use of ACEI/ARBs and thiazide diuretics. A combination of hydralazine, nitrates and thiazide diuretics has also been found to be effective. A calcium-channel blocker may be added to either of these combinations if BP remains uncontrolled. Is characterized by a further decrease in the degree of LV systolic function progressing into the stage of symptomatic systolic dysfunction. Cardiac output may drop or still be maintained by tachycardia, but there is a further rise in SVR. High SVR increases the work of the already compromised heart, and this creates a vicious cycle for the heart of the patient. Consequently, LV failure progressively increases and S3 or S4, or S3 and S4 become audible on cardiac auscultation. BP is still recognizably high, usually about 160/100 mmHg and above. Treatment is similar to Stage 1. Loop diuretics are required during the initial management of heart failure. Occurs with unrelenting hypertension and at this stage full blown congestive cardiac failure develops. Cardiac output drops further still because although there is tachycardia, this cannot compensate for the drop in stroke volume. SVR on the other hand remains high and there is therefore a rapid decline in cardiac function. On auscultation, S3 with or without mitral regurgitation are audible. In later stages, functional tricuspid regurgitation due to right ventricle/right atrial dilatation develops. Measured BP is above 160/90 mmHg (Stage 3a) but later on systolic BP drops to about 100 mmHg systolic or less while diastolic BP hovers between 90 and 95 mmHg (Stage 3b). This causes an abnormally low pulse pressure. The patient at this stage requires treatment with ACEI/ARBs (or hydralazine with nitrates) together with diuretics starting with intravenous frusemide to remove gut edema and permit adequate drug absorption. This is followed by the use of thiazide diuretics, which are effective in controlling the BP of the patients and at the same time excess fluid. Inotropic support, in the form of digitalization, is often required. It should be noted that the BP may sometimes, depending on the myocardial reserve, rise to greater levels following recovery from heart failure. At this stage, the patient may require other antihypertensive drugs for control of high BP. Beta-blockers are now widely used in the routine treatment of heart failure. Indiscriminate use of beta-blockers has however tilted some of the patients to left heart failure. There is a need for more research to guide those who wish to use beta-blockers in treatment of patients with hypertensive heart failure when it is safe to use. Beta-blockers are however safe in those with normal systolic function and diastolic heart failure. The trend in the management of hypertension is to restrict salt intake. However, studies from Nigeria have shown a tendency for hypertensives to leak more salt in their urine compared with normotensives although the extent of leakage between the two groups has never reached significant levels. More studies are needed to clarify whether restriction of salt is really beneficial in Nigerian hypertensives including those who have progressed to the stage of heart failure. How to handle those with abnormally high systolic BP deserves further studies. Systolic BP tends to be high when there is leakage from the circulation, for example in patients with aortic regurgitation, and in conditions, which cause arterial vasodilatation. It is also elevated when the arterial system is stiff, either because of ageing or due to atherosclerosis. Moreover, several studies have shown that the BP tends to rise with age. Elderly people are therefore expected to have higher systolic BPs and the risk of a stroke should be borne in mind when the BP of such patients is forcibly brought too low. High systolic BPs are notoriously difficult to treat, and studies are needed to determine whether treatment of such high BPs is beneficial. When a patient's BP has become difficult to reduce, efforts must be made to ensure that the patient is first of all taking the drugs. Too often, the patients are not, especially when the treatment is making them sicker or interfering with their sexual activities. In addition, the patient may be taking other forms of medication which may be interfering with the anti-hypertensive drugs prescribed for them, for example "cold" medications. In the absence of these, more advanced investigations must be conducted to rule out secondary forms of hypertension, particularly renal/endocrine-induced secondary hypertension [Figure 5]. Studies are still needed on how much endocrine-induced hypertension contributes to the prevalence of resistant hypertension in this community. Several population studies have linked obesity with hypertension, and the community has rightly been advised to reduce weight as part of control of hypertension. What is however not clear is how obesity causes hypertension and why some obviously obese people do not have high BP nor suffer from the complications of hypertension. Hypertension is highly prevalent in Nigeria, and heart failure is its commonest complication. Untreated or inadequately treated hypertension progressively leads to heart failure, initially from LV diastolic dysfunction, but later and more commonly from different degrees of systolic dysfunction. Hypertension is however a treatable disease, and there is a need for a basic understanding of the pathological and hemodynamic changes, which have taken place in every patient before an appropriate treatment can be prescribed. Not only that, we must continue to educate patients about drug compliance with the aim of preventing the devastating consequences of cardiac and other complications of hypertension within the populace. Damasceno A, Cotter G, Dzudie A, Sliwa K, Mayosi BM. Heart failure in sub-saharan Africa: Time for action. J Am Coll Cardiol 2007;50:1688-93. Damasceno A, Mayosi BM, Sani M, Ogah OS, Mondo C, Ojji D, et al. The causes, treatment, and outcome of acute heart failure in 1006 Africans from 9 countries. Arch Intern Med 2012;172:1386-94. Aje A, Adebiyi AA, Falase AO. Hypertensive disease in Africa. S Afr Heart 2009;6:42-51. Mensah GA, Barkey NL, Cooper RS. Spectrum of hypertensive target organ damage in Africa: A review of published studies. J Hum Hypertens 1994;8:799-808. Falase AO, Ogah OS. Cardiomyopathies and myocardial disorders in Africa: Present status and the way forward. Cardiovasc J Afr 2012;23:552-62. Carlisle R, Ogunlesi TO. Prospective study of adult cases presenting at the Cardiac Unit, University College Hospital, Ibadan 1968 and 1969. Afr J Med Sci 1972;3:13-25. Ogah OS, Stewart S, Falase AO, Akinyemi JO, Adegbite GD, Alabi AA, et al. Contemporary profile of acute heart failure in Southern Nigeria: Data from the Abeokuta Heart Failure Clinical Registry. JACC Heart Fail 2014;2:250-9. Attah EB, Falase AO. Large flabby hearts in hypertension. Am Heart J 1977;94:189-95. Falase AO, Ayeni O, Sekoni GA, Odia OJ. Heart failure in Nigerian hypertensives. Afr J Med Med Sci 1983;12:7-15. Aje A, Adebiyi AA, Oladapo OO, Dada A, Ogah OS, Ojji DB, et al. 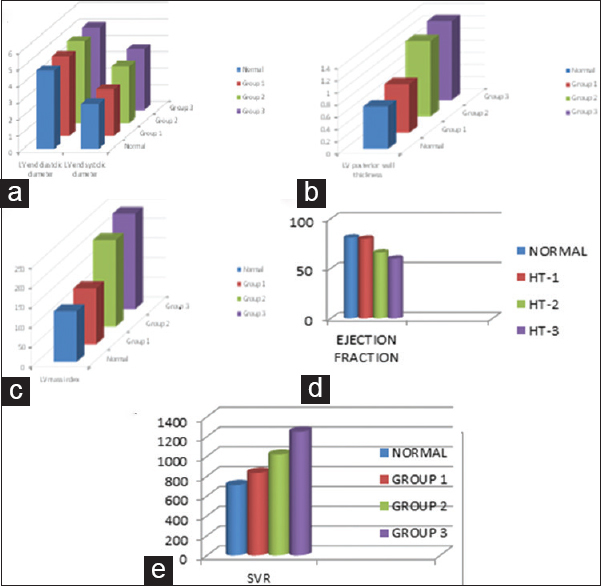 Left ventricular geometric patterns in newly presenting Nigerian hypertensives: An echocardiographic study. BMC Cardiovasc Disord 2006;6:4. Adebiyi AA, Ogah OS, Aje A, Ojji DB, Adebayo AK, Oladapo OO, et al. Echocardiographic partition values and prevalence of left ventricular hypertrophy in hypertensive Nigerians. BMC Med Imaging 2006;6:10. Adebiyi AA, Aje A, Ogah OS, Ojji DB, Dada A, Oladapo OO, et al. 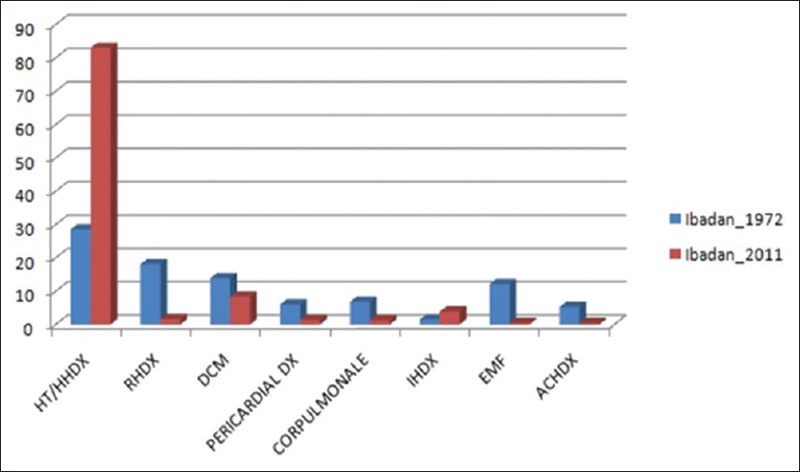 Correlates of left atrial size in Nigerian hypertensives. Cardiovasc J S Afr 2005;16:158-61. Adebiyi AA, Aje A, Ogah OS, Ojji DB, Oladapo OO, Falase AO. Left ventricular diastolic function parameters in hypertensives. J Natl Med Assoc 2005;97:41-5. Adebayo AK, Oladapo OO, Adebiyi AA, Ogunleye OO, Ogah OS, Ojji DB, et al. Changes in left atrial dimension and function and left ventricular geometry in newly diagnosed untreated hypertensive subjects. J Cardiovasc Med (Hagerstown) 2008;9:561-9. Adebayo AK, Oladapo OO, Adebiyi AA, Ogunleye OO, Ogah OS, Ojji DB, et al. Characterisation of left ventricular function by tissue Doppler imaging technique in newly diagnosed, untreated hypertensive subjects. Cardiovasc J Afr 2008;19:259-63. Ogah OS, Akinyemi RO, Adegbite GD, Udofia OI, Udoh SB, Adesina JO, et al. Prevalence of asymptomatic left ventricular systolic dysfunction in hypertensive Nigerians: Echocardiographic study of 832 subjects. Cardiovasc J Afr 2011;22:297-302. Ogah OS, Adebiyi AA, Oladapo OO, Aje A, Ojji DB, Adebayo AK, et al. Association between electrocardiographic left ventricular hypertrophy with strain pattern and left ventricular structure and function. Cardiology 2006;106:14-21. Lawal SO, Osotimehin BO, Falase AO. Mild hypertension in patients with suspected dilated cardiomyopathy: Cause or consequence? Afr J Med Med Sci 1988;17:101-12. Lawal SO, Falase AO. The effect of hypertension on the heart of adult Nigerians. Trop Cardiol 1988;14:153-9. Aje A, Adebiyi AA, Falase AO. Hypertensive heart disease in Africa: Hypertensive heart disease. SA Heart 2009;6:42-51. Adebiyi AA, Akinosun OM, Nwafor CE, Falase AO. Plasma catecholamines in Nigerians with primary hypertension. Ethn Dis 2011;21:158-62. Oladapo OO, Salako L, Sodiq O, Shoyinka K, Adedapo K, Falase AO. A prevalence of cardiometabolic risk factors among a rural Yoruba south-western Nigerian population: A population-based survey. Cardiovasc J Afr 2010;21:26-31.